A study published by British researchers caused a storm among biologists; the question on everyone’s lips – do chimps have accents? Initially, a group of eight researchers studied a group of chimps moved from a Dutch safari to a Edinburgh Zoo in Scotland, concluding that the primates can replace the vocal sounds their native group used for objects, in this case apples, with those of their new group. In other words, they are able of vocal learning and adaptation and can develop their own accent. But not everyone is convinced. 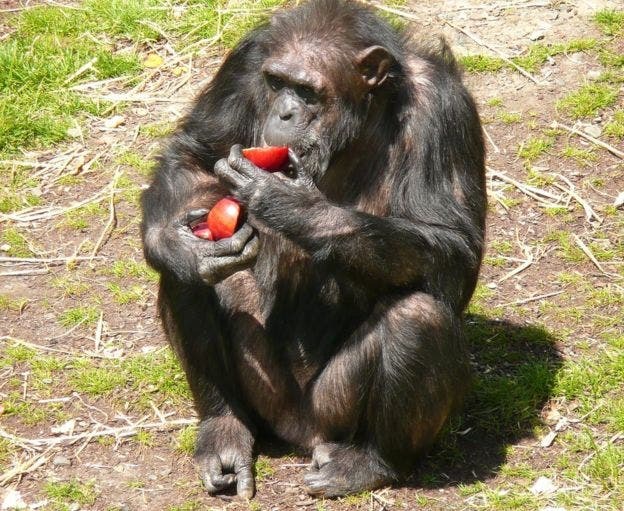 Dutch chimps used a high-pitch to denote apples, but after three years in Edinburgh, they switched to the lower pitch that the Edinburgh chimps use. This seems logical, but the data set is very limited. Another team re-analyzed the results, and came up with a different, more conservative conclusion. Dr Simon Townsend from the University of Warwick, who co-wrote the original study with colleagues in York and St Andrews said that it’s normal for this type of things to happen – it’s how science works – but he refuted the new claims. It will take quite a while before the dust settles and the scale weighs in one way or another – or it may never do, at least not in the near future. But it does highlight a very important aspect: if you want to make bold claims, you need serious evidence to back it up. The initial study may be right, but its conclusions are still debatable – and there’s nothing wrong with it; if anything, it’s the mark of healthy science.